Tomorrow many will head to their local polling places to exercise their right to vote for the candidates of their choice. In the political arena the colors red and blue have been used to indicate left-leaning or right-leaning voters, and on maps, showing Republican vs. Democratic States during election coverage. However, it is my humble observation that the church will walk away from this unprecedented election as both red and blue, i.e. bloodied and bruised. I am grateful that God allows His kids to be unique, to have differing experiences that shape their life long beliefs and philosophies when it comes to certain issues. God forbid we were all cookie-cutter church droids void of any diversity. We can have different tastes in worship styles, in dress, in practice and traditions and within limited context we can even have differing views on Biblical topics like tongues or the tribulation, so long as we accept opposing views with respect and humility. With that said, I am deeply troubled at how social media has applied a magnifying glass to the existing vile and bitterness exchanged within the church when it comes to a civil election. We can peacefully agree to disagree on tongues or prophesy and call it different takes but when it comes to secular politics, opposing views are tantamount to creating enemy lines. The passion and the angst we should hold for the Kingdom of Christ is perverted and exploited to “ungodly” levels as we label and in fact view each other not as eternal siblings but as red or blue, left or right, conservative or liberal, and even in some cases, “real” Christians or disingenuous believers. We invoke God and His will or His sovereignty into the debates when in fact the God I know would have little to do with such petty grievances as secular politics. Whether one views voting as a Christian obligation or abstaining as a preferable option, both have been demonized and regardless of the outcome of this election, there will be brothers and sisters of the faith left battled and bruised, red and blue. Many have been duped by those who bastardize Holy Scripture to support a political stance. The “God sets up Kings” and the “God establishes governing rulers” crowds have not only used improper exegesis in interpretation, they have “exorcised Jesus” “straight out of context”. There is not a single passage anywhere in the Word that advocates an obligation to exercise a secular civic right. Thank God we live in a country where we can have a voice, but that choice should be individual, personal and most certainly not subject to ridicule by opposing siblings of the faith. Conversely, the Holy Scriptures are plentiful in reference to how we are to treat each other with love in a spirit of unity that surpasses the limitations of fleeting time in a temporal world. When the religious leaders came against Christ accusing Him of casting out demons by the power of Satan, He was quick to remind them that a house divided against itself is doomed. We can be peacefully divided when it comes to non-essential differences of opinion-you can love the Colts and hate the Pats, you can cheer on the Cubs and detest the Sox. You can tithe by obligation or you can be a cheerful giver. You can fast once a year or on a regular calendar. But any division or opposing view that causes one brother to look critically at another in light of just these few referenced passages alone goes against the grain of the totality of Christ’s teachings on peace, love, unity and humility. We can’t be the light of the world if we are snuffing out each others candles. When any light is diminished the result is an increase in the level of darkness. At that point we have failed our commission. Most would say that tomorrow, Election Tuesday, is the most important day of this year. The result of the peoples’ preference and direction for the next four to eight years hinges on the outcome of the vote. I might suggest however that for many believers, the following day, Wednesday, is actually the most important day of the year. It is the day after the election that we as a church will be forced to look at not only the results of this race and the impact it will have on its citizens, but the aftermath and the damage done during the electoral process and the ramifications it will have on eternal relationships. I have to ask this with all sincerity-on that day when we are reunited with Christ in our forever home, how important will it be if you voted red or blue, if you abstained completely, if your good friends or even your family shared opposing social beliefs, or if your candidate won or lost? We hear the phrase “big picture” quite a bit. But “big picture” should mean totally different things to believers vs. nonbelievers. To the church, this world is but a vacation stop, not our home. Until we can see each other in the realm of eternity we will continue to take up arms against the political enemy in a secular war with no real winners but a host of losers. This weekend I’ll still be in church as always, I’ll still buy food when I run out, I’ll still be able to post my opinions, popular or not, and I’ll still have a loving Father who will sustain me as He has before when “my guy” didn’t win. And I won’t be moving to Canada. My prayer is that we will embrace our rights to have a voice but that our love for each other will “Trump” any temporary and insignificant civil situation we find ourselves in, with the understanding that we serve an eternal leader who has already won and one who can never be voted out of office. God bless our country and heal our land but more importantly, let our rule of law be the debt to love our brother, which can never be fully paid. Should We Really Expect to Reverse America’s Decline? Birth pains-women will understand this, men, not so much. Birth pains are the physical sign that the time is near for a woman to bear a child and that the wheels in motion for this event can not be stopped or reversed. Jesus refers to the signs of the end times in Matthew 24 as the beginning of birth pains. This post is based on that analogy and may not rest well with many. 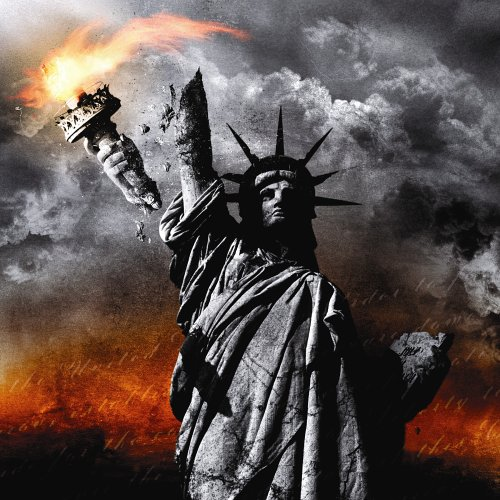 It would be intellectually dishonest from a spiritual perspective to deny that our great nation, the United States of America, has been on a great decline for many years now. We can still love her and prefer her over other countries, cheer for her at International events and proudly display her colors as patriots on holidays while relishing her freedoms. But we can’t deny the moral and spiritual decay she is suffering. That decay is like a spreading cancer slowly eating away at those elements which have always made America a strong and healthy nation. As with most cancer the treatment, or response, is often worse than the disease until it becomes a matter of waiting for the inevitable. Sounds hopeless, I know. As I read the story this week of a beloved Pastor and University Professor who got caught up in the Ashley Madison profile leaks who decided to take his own life, it hit me just how far we have fallen. Don’t get me totally wrong-there are saints preserving the Gospel, saints feeding the hungry, rescuing the enslaved, taking mission trips to help the helpless-all attributes of a healthy church. Our Lord though His Spirit continues to use His people to do His work to help those with sincere and hungry hearts and real needs. But when you step back to view the big picture, the lines are becoming blurred and the colors once brilliant are fading. There is no better time than at election time that one can hear how bad America is, though campaign speeches should never serve as a true State of the Union gauge. In any debate we will learn that our defenses are down, our economy is bankrupt, our schools are behind internationally and we are heading to Hell in a hand basket. Our natural and gut reaction is to climb onboard the bandwagon of the candidate we are sure is going to turn America around again and fix all our ills. And if he or she is evangelical, that’s even better. And while we should always have hope and be proactive in making the world around us a better place, can we honestly in view of New Testament prophesy concerning the signs of the end times, expect for a sudden and miraculous reversal when all indications are that the birth pains have begun? In the Apostle Paul’s second letter to Timothy he lays out for us some signs of the last days. I’m sure you would agree that in reviewing the list above we can see all these characteristics in our society today, and sadly even in the Church. We are told in the NT that God removes His spirit from such people and lets sin run its course. The traits mentioned above are running their course. Granted, there will always be individual stories of rescue by grace and God’s spirit will continue to be worked out in the lives of those who seek in earnest so that “none may perish”. But again, in light of the big picture view the fig leaves are falling and the signs are apparent. A day closer to the return of Christ can be nothing short of Good News for the believer. We should be able to with hope and confidence view the events around us and look up with eager anticipation knowing that however many days, weeks, months, years or decades, we are getting closer to that day. That is not to say we should become oblivious to the world around us or throw our hands up in surrender opposed to being active and making a difference when and where we can. God defines true religion as loving Him, loving our neighbor, and taking care of the less fortunate. There things carry on regardless of the surrounding circumstances. Love good, hate evil, love everybody. All Souls Matter! But in doing so we must be cognizant that birth pains don’t stop and that the process the pains represent is in full motion. We may never again see the America we love and remember. We are certainly in a post-Christian America and I don’t see us going back. Scripture spells out what lies ahead for us. There will be suffering, persecution, a falling away from the Church, false teachers and weak followers getting their ears tickled each week. But to those who see and understand the grand plan and correlate these times to the script left for us to follow, we will become less geographically oriented and more Kingdom oriented as we await the return of Christ in the midst of falling fig leaves as Summer comes to an end. .
As a young boy much bigger for may age than average, there was little I was afraid of, at least from my peers. I got into very little trouble growing up. It might have been that I was in church so much there was little down time to get into any mischief. 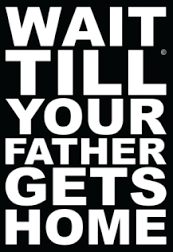 Or it may have been the one thing I did fear-those six words that evoked the fire of God whenever I heard them-“just wait until your dad gets home”. You see, at 6’8″ and 300 lbs my dad too was bigger than average! For greater impact I would hear my mom relaying the details of my latest waywardness to my dad when he called while on break, so I knew he would be planning my punishment for several hours before ha came home and played the role of disciplinarian. In every single case the wait was more dreaded and effective than the punishment. As a believer I am grateful for a God who we can approach as Abba Father-one who is often described as loving, gracious, merciful kind, forgiving, patient-all attributes which are scriptural and true. We are told and can bet our life on the scriptures that tell us nothing can separate us from the unconditional love of God. But, I wonder if the church, both the institutional church and the body of believers that make up the church, have so embraced the message of grace that we have completely disregarded the unchallenged sovereignty of God. We don’t want to consider the Old Testament God of jealousy , vengeance and wrath because it doesn’t fit into our 2015 definition of a more tolerant, sociable, politically correct, changing with the times God that we have created to better fit our conscious-one that allows us to fit in and be more widely accepted and considered for office, for promotion and for more likes on our social media outlets. It’s ironic that those who oppose or deny the concept of God are first to point out accurately that God killed people in the Old testament simply because they did not follow His commands. The Mega-churches have apparently lost that section of the Bible. Don’t get me wrong-I believe that those who are looking for the truth and for eternal hope should not be scared into salvation at the thought of an angry God just for eternal insurance purposes alone. The message of the cross is one of forgiveness, of hope, of reconciliation and restoration of a sinful people to a loving, caring God whose desire is that none should perish needlessly. But to properly appreciate the loving and merciful side of God one must balance it against the judging, jealous and total rule of the same God who created a race of people to worship Him and Him alone and to fear Him who has no equals. The stories of God’s wrath against an unruly people are too numerous to list. There were complete cities destroyed for their shameless disobedience. The armies of Israel were often decimated when they turned their backs on God. Even Moses was prohibited from entering the Promised land because of a procedural error. God was and is a stern God who demands fear, allegiance and obedience-nothing has changed in His expectations. The difference today is God’s gift of His Son who took our sin punishment on the cross and acts as our advocate by covering us who accept Him with His righteousness so that the wrath of God is thwarted before being administered. We are living in a time of great arrogance and brazen boldness as a church in general and as a nation as it relates to the issues and spiritual challenges of the day. In order to boost attendance and keep our nonprofit status we have put forth a God who more resembles a Disney character than a God who is described in Revelation having hair white as wool and eyes blazing like fire-with feet like burning bronze and a tongue like a double edged sword. When I was younger and in church I hated always hearing sermons about hell-about how you could leave the church building and be struck by a car and enter into eternity. The message left me uncomfortable and uneasy about the true motive for following in the path of Christ. But the message was and is that God can’t be ignored forever just because His ways and laws are inconvenient to us or socially irrelative to the current culture. In Him there is a life of abundance. But outside of Him, there is danger-there is peril-there is judgment. Some might ask “why would God do that” or how does a loving God allow this or that”. And my answer would be simply, I don’t always know. He is God, I’m not. He’s in charge-I’m under His loving rule. I don’t try to argue with God. I have many questions, but who Am I to demand answers or justification from God. I accept my role and love the promise of what is waiting. And yes, I fear God. Not in a panic fear but in the realization that apart from Christ, I am worthy of no less than the punishment I read about in the Old Testament. We are living in perilous times. The Word of God is being dissected and voided of all hateful appearing verbiage. The Government is trying to tell us how we can interpret and practice our faith in complete defiance of the first Amendment to practice without interference. The entertainment, educational and political systems are lining up against the church in what will eventually play itself out as a major war for the saints that may change the face of the church as we know it now. It is time like never before to have or develop a healthy fear of God, His word, His commands and His judgment. The popular t-shirt is so right on-“Only God Can Judge Me”. What a horrible notion for those living in opposition to His nature and His sovereignty.